Life's Journey To Perfection: August 2013 Week 3 & 4 Sharing Time - Answers to prayers come from Heavenly Father in many ways. August 2013 Week 3 & 4 Sharing Time - Answers to prayers come from Heavenly Father in many ways. I am using this free printable. It has on it "Answers to prayers come from Heavenly Father in many ways." I will have this up on the board with some colored rectangle pieces of paper covering each word. One at a time I will ask one of my primary children to come and uncover a word. We will go until all words are uncovered. Then we will read the phrase all together. Next, I will have a bunch of different pictures of prophets who have prayed to Heavenly Father. I will have these up on the board. 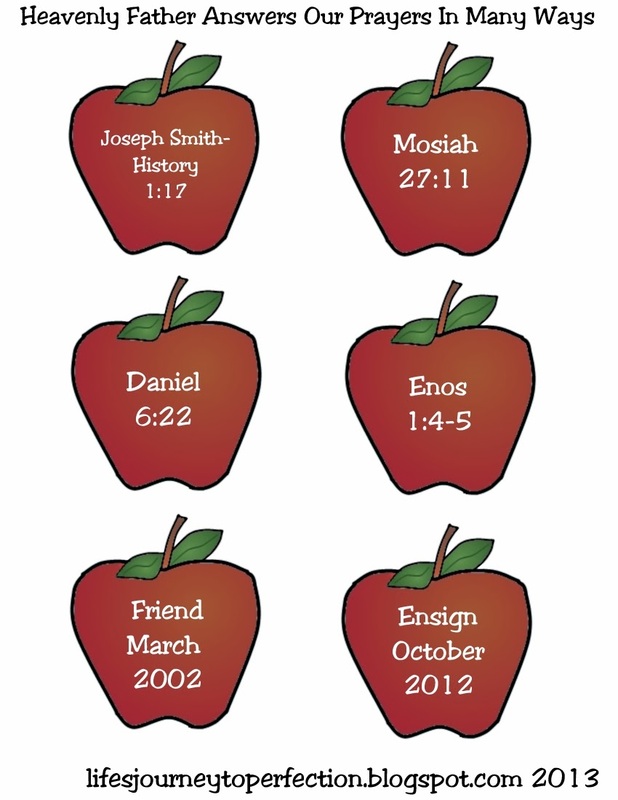 Then I will have these apples with scriptures on them. I will have a child come up and choose an apple and we will read that scripture. Then the primary child will need to find the picture that it matches. 6- President Monson (Ensign October 2012) I am going to tell of the story of Pres. & Sis. Monson stranded in Midway, Utah. 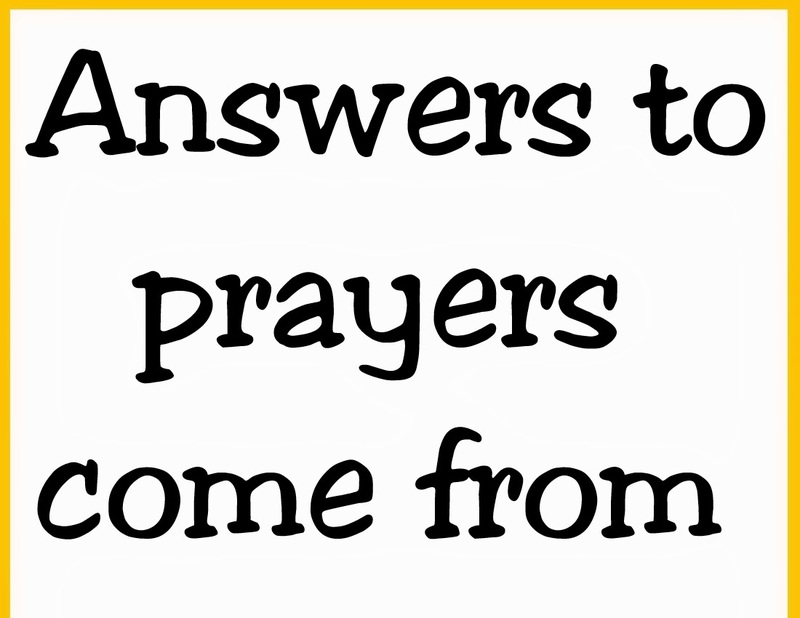 Talk about different ways our Heavenly Father answers ours prayers. 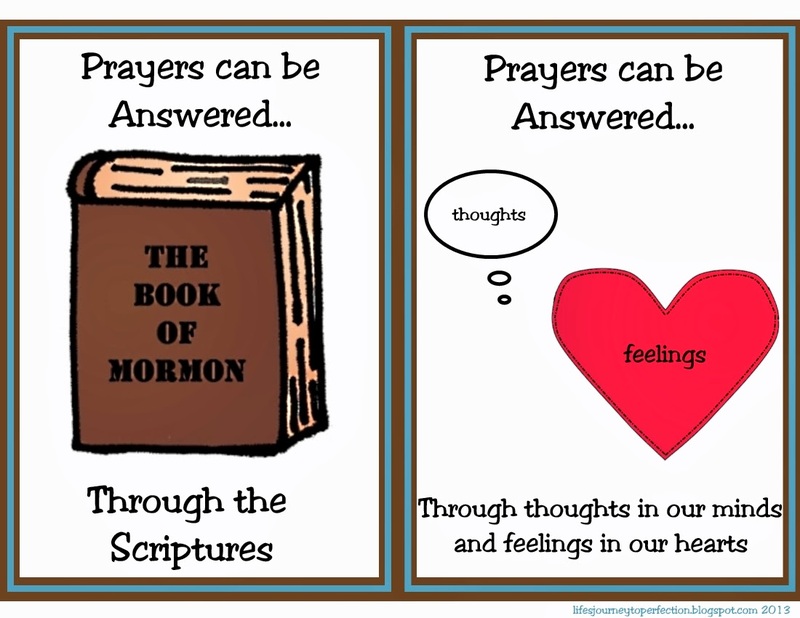 Through Peaceful Feelings (smile face), Through thoughts in our minds and feelings in our hearts (Heart & Thought Bubble), Through the actions of other people (Stick person), Through the Scriptures (Scriptures). Discuss how Heavenly Father knows what is best for us. So our prayers might not be answered the way we think they should or when we think they should. 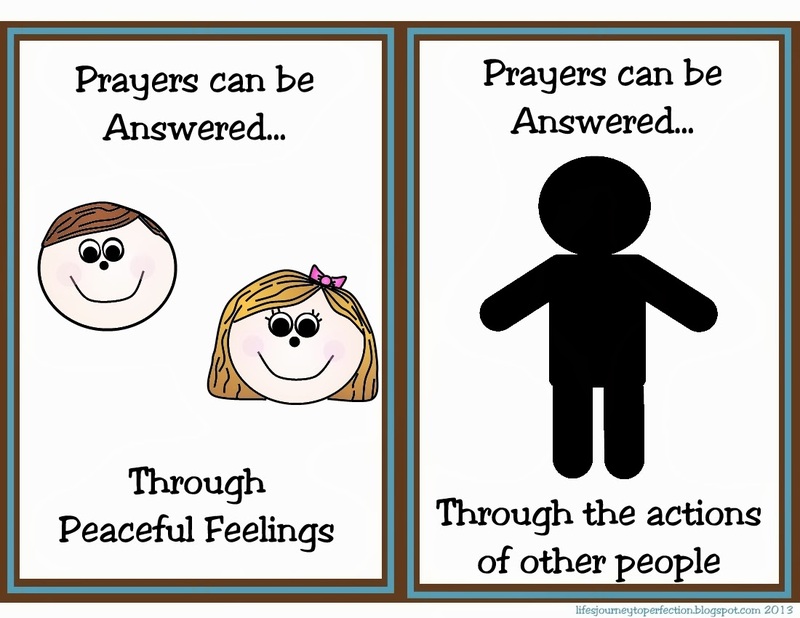 If time allows ask if anyone would like to share any experiences of their prayers being answered. 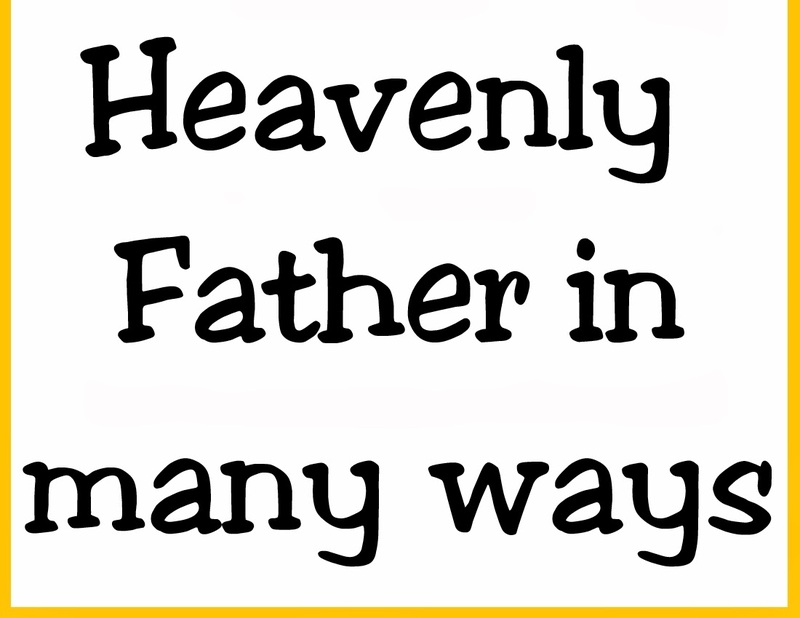 Bear testimony that Heavenly Father Answers our Prayers in many different ways. Thank you for all of your work on these! Is there a link to download the printables?